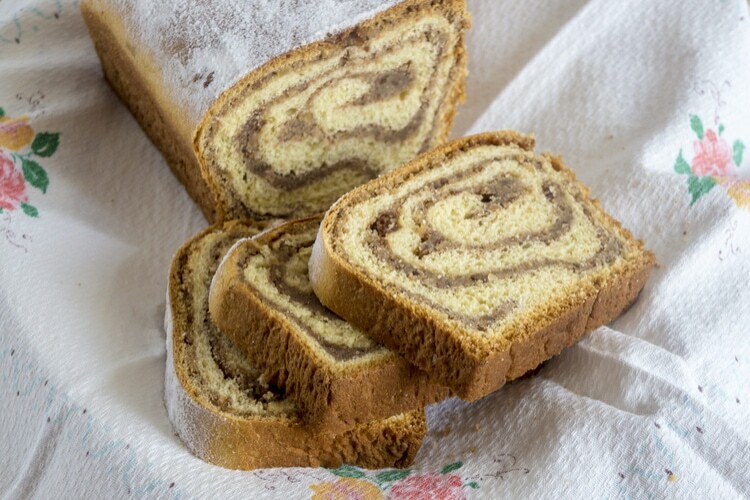 Want to know more about Slovenia? 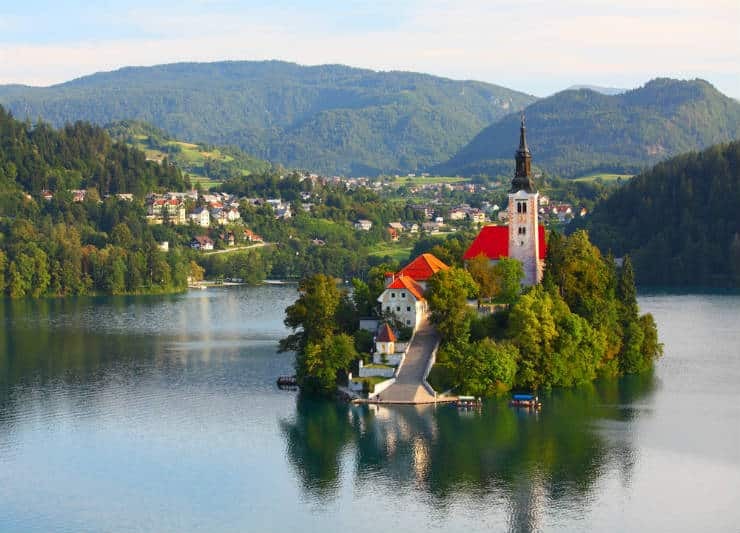 Here are 25 Interesting Facts about Slovenia that you probably didn’t know before reading this! To make this even more fun, I want to challenge you as well. How many of these Slovenia facts did you know before reading this? Share your result in the comment section! It was built between years of 1900 and 1906 and features 4533 stone blocks that stretch 220 meters. 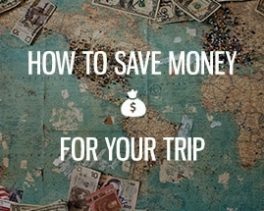 Despite the small size of the country, it has plenty to offer in nature, culture, cuisine and much more. Even the biodiversity here is amazing, with about 1% of the total biodiversity of Earth. Definitely one of the many interesting facts about Slovenia. 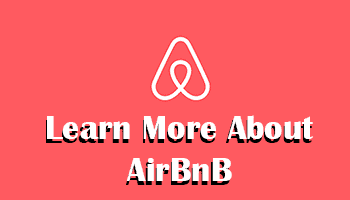 Did you know that there are one winery or vineyard for every 75 people? Slovenes love their wine. 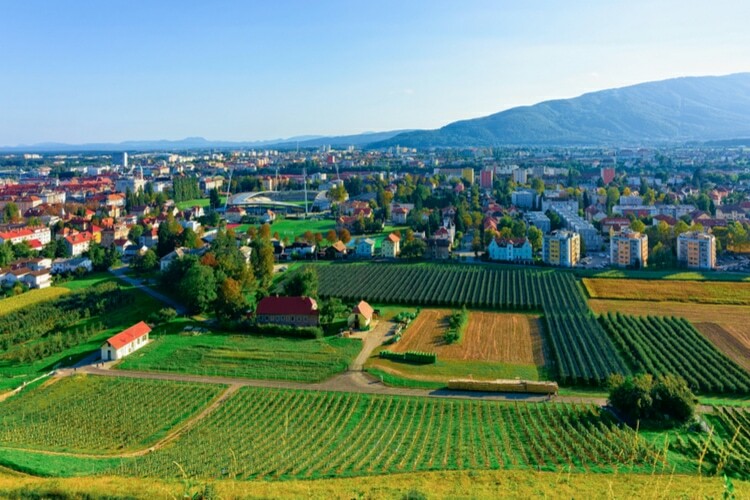 Not only is wine popular, but in Maribor, you can also see the oldest vine in the world that still produces grapes. The vine is estimated to be around 400 years old. We have a similar tradition in Sweden, that is known as Valborg or Walpurgis night. In Slovenia, they also light up bonfires around the country on April 30th, just before 1 May, which is the workers day. Lightning a fire used to be a social event where the community came closer and became a unity. Today, it’s a symbol for worker’s right. 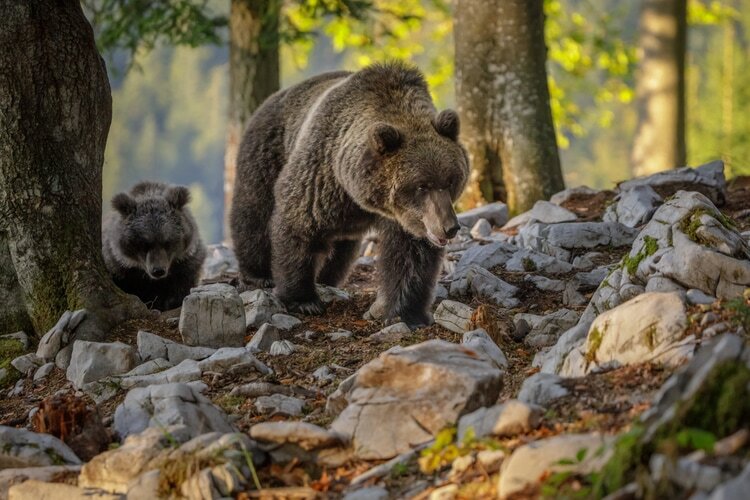 If you are an animal lover, you’ll be happy to hear that more than 500 brown bears roam the Slovenian forests. Don’t worry though, the diet of these bears are mostly vegetarian and they rarely hunt since there are plenty of other foods to gather. With a total of 2 million people, it’s quite fascinating that about 90.000 Slovenes are beekeepers. Honey is definitely a delicacy here, and if you have the chance you should both taste and buy some home for your family and friends. Want to get the real cavemen experience? Slovenia might just be the best place to do it. Here are more than 10.000 caves to explore. 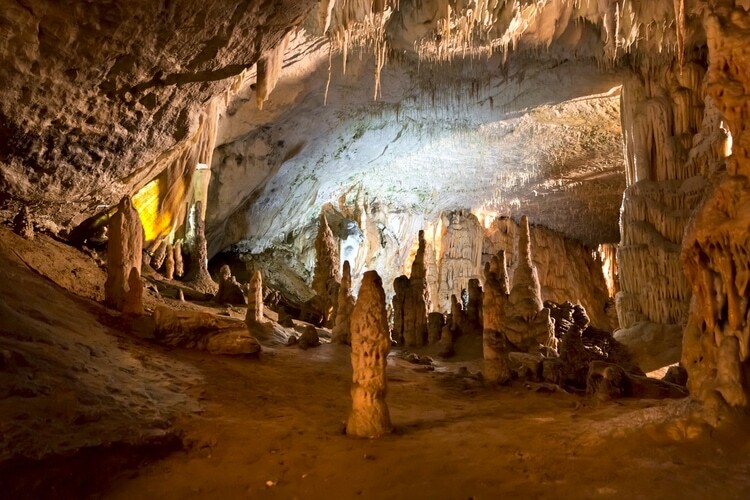 The most famous cave is known as Postonja cave, pictured below. 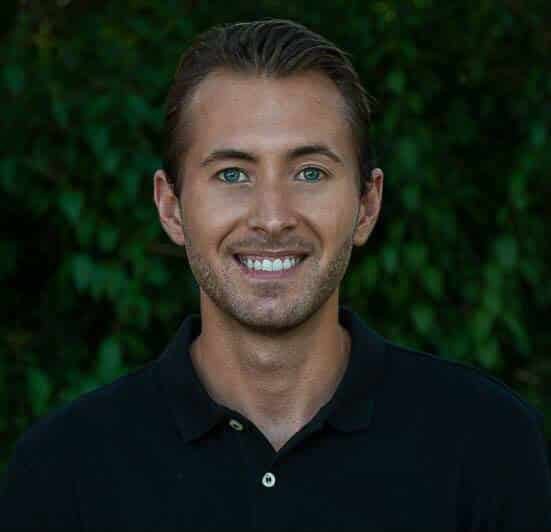 Curious about what it’s like to be locked up behind bars without committing a crime? At Hostel Celica you can stay in an actual prison. The cells have been renovated into rooms, but it still has the same appearance as a prison cell. 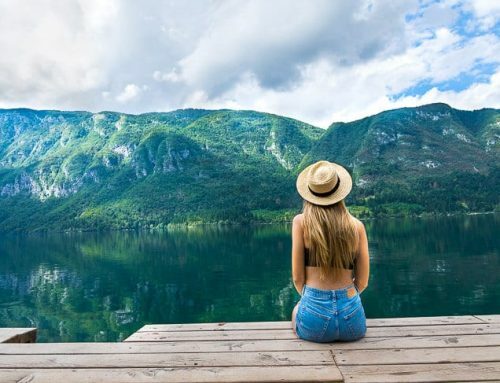 In recent years, the popularity of Lake Bled has once again risen, and hundreds of thousands come here each year to enjoy the beauty of Lake Bled. Back in history, it was also a popular place among royals. The Slovene language might just be spoken by 2.3 million people, but there are still 46 different dialects. With 2 864 meters above the sea, this mountain is not a short one. 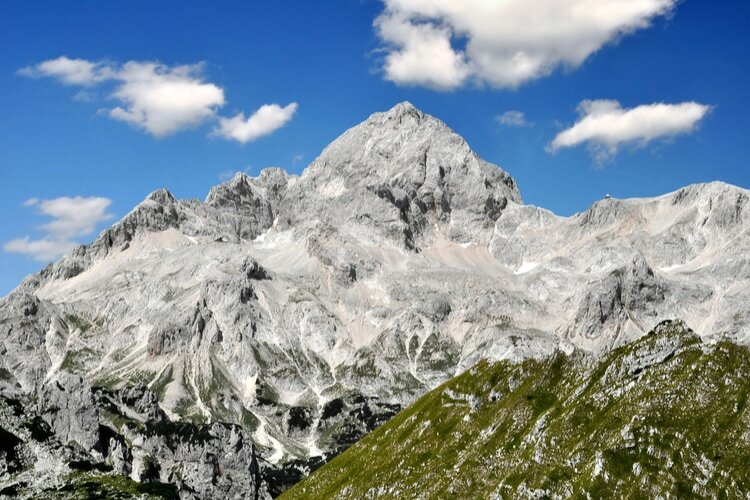 However, it is still possible to reach the summit of Mount Triglav. The easiest climb is from Krma Valley, which takes about 2 days in total, whereas 12-14 hours climbing. The prehistoric pile dwellings in Slovenia are estimated to be from 5000-1500 B.C. In 2002, the oldest wheel ever encountered was discovered and it is estimated to be at least 5000 years old. These are a part of the Unesco World Heritage since 2011. 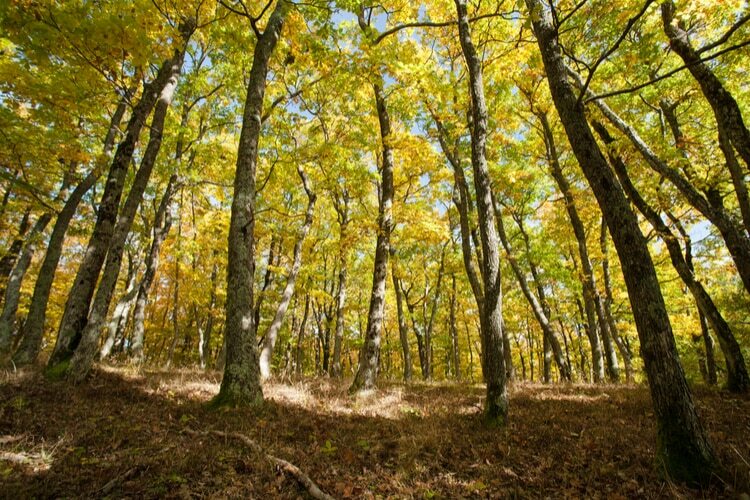 Unlike many other countries today, the forests of Slovenia are actually expanding. Today, it accounts for more than 12480 square kilometers. In these forests, one could also find the world’s smallest mammal, called the Etruscan Shrew. If you like to spend time in nature, you’ll love the Slovenian forests, especially during autumn before the leaves fall. This country is heaven on earth for adventurers who love water sports such as kayaking and rafting. With 27.000 kilometers of rivers and streams, there are plenty of places to get an adrenaline rush or go for a swim. The Soca River might just be the most beautiful river in the world with it’s piercing turquoise water. 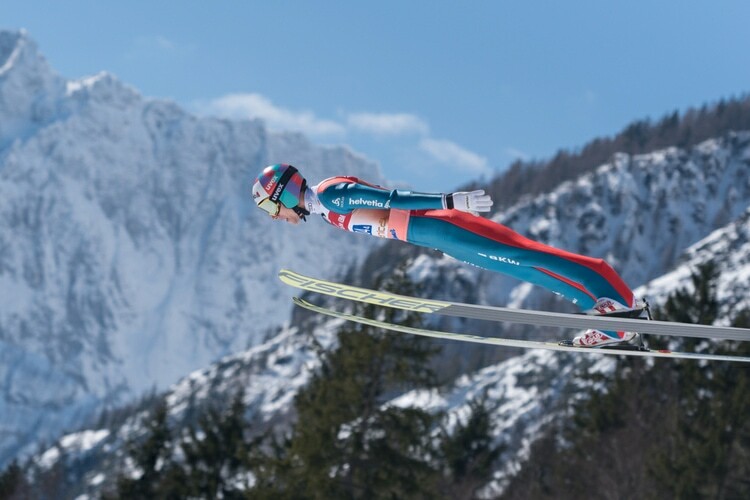 Planica is an epic place for ski-lovers, especially if you like heights. The Ski Jump here is legendary and many world records have been set here. 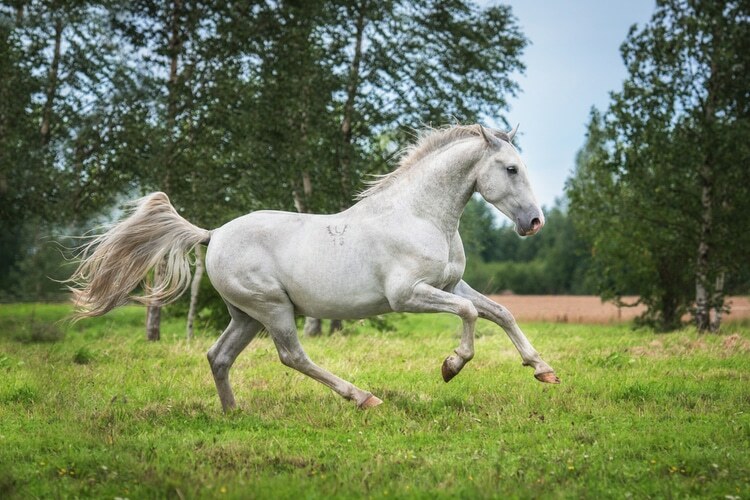 For example, the world record by Bjoern Einar Romoeren of 239 meters. 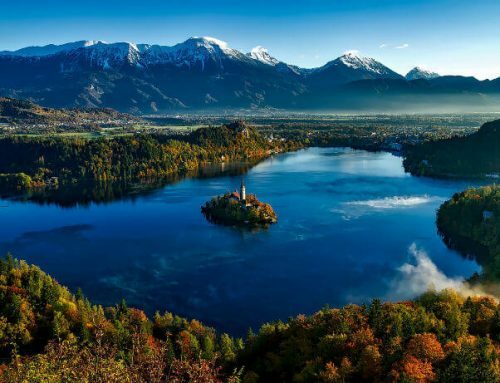 Below are some general info such as total population, land area, biggest lake, highest mountain and other general facts about Slovenia that might be interesting to know. 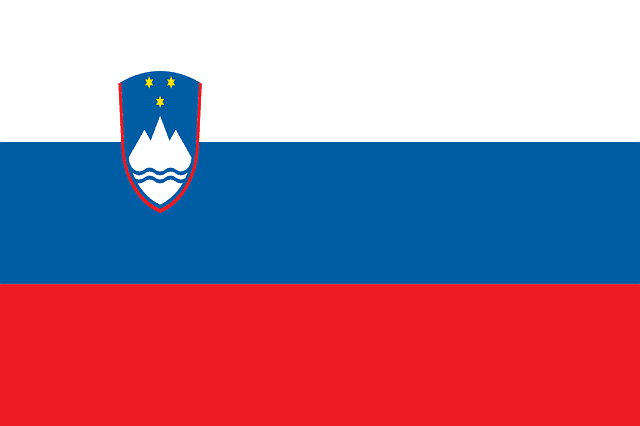 As you can see, the Mount Triglav is depicted in the Slovenian flag emblem. 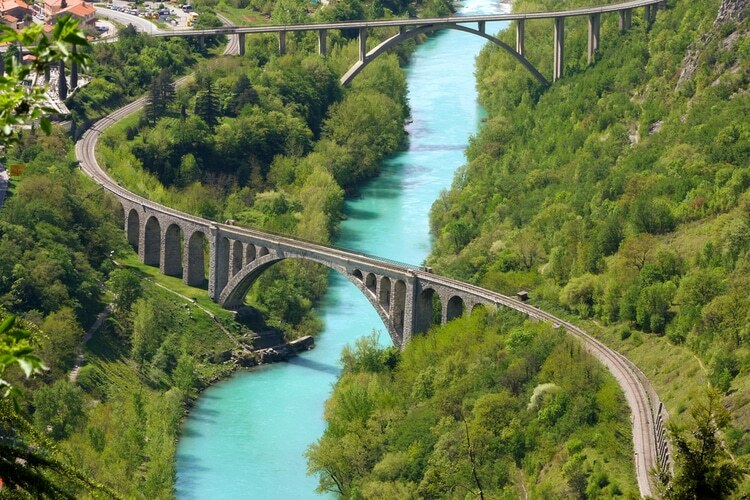 How many of these Slovenia facts did you know? Share your result in the comment section below!